Through my teaching and research as a political scientist, I have come to believe two things. First, in the United States, especially at the local level, we do not do a good job of making voting easy and accessible. Second, it’s a good idea to read a study before criticizing it. Given the way that professor L. Sandy Maisel mischaracterized my published research on ranked-choice voting in an Aug. 16 BDN OpEd, it is obvious that he never actually read it. As a result, he too easily dismisses the findings about how ranked-choice voting may increase the difficulty of voting and lower participation in Maine elections. 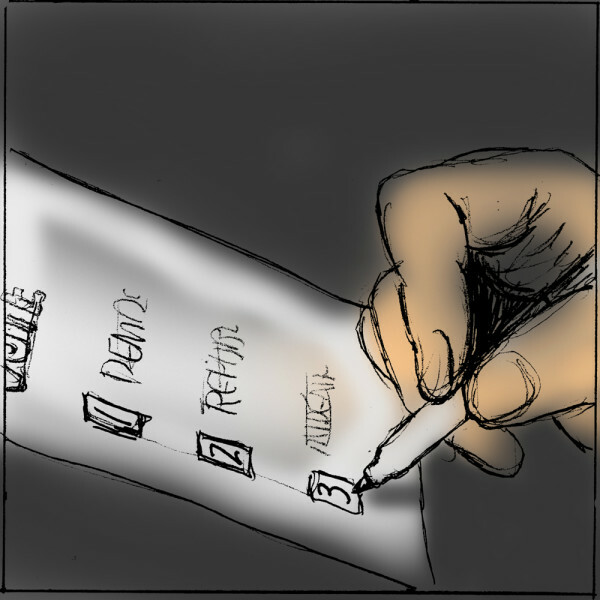 When considering ranked-choice voting, it is important to note that it fundamentally alters the act of voting from choosing a preferred candidate to ranking several preferences from a potentially long list of options. The act of ranking is much more cognitively demanding than merely choosing a preference. For some, this may seem like a small change, but for others, it could make the already daunting task of being an informed voter even more challenging. Decades of research show us that when voting is made more complex, it tends to lead to lower participation and more unequal outcomes. Beginning from this premise, I examined voter turnout in San Francisco mayoral elections from 1995 to 2011, three elections before the adoption of ranked-choice voting and two afterwards, involving over 2,500 individual precincts. The results show that participation decreased among specific groups of voters after the adoption of ranked-choice voting, especially younger voters, African-Americans and those with low levels of education. My conclusion is that, in San Francisco, ranked-choice voting widens the gulf between the haves and the have-nots when it comes to participating in the democratic process. In new research that I will present at a national political science conference in September, I extend my inquiry into how the adoption of ranked-choice voting affects voter turnout. In my examination of more than 900 mayoral elections, I find that voter turnout is about eight points lower, on average, in ranked-choice voting compared to plurality elections, after controlling for a variety of important factors. The more complex ballots necessitated by ranked-choice voting can present another difficulty: increasing the likelihood that an individual voter will make an error when marking her ballot in such a way that her vote is disqualified. My colleague Francis Neely and I examined more than 1 million individual votes in every San Francisco ranked-choice voting election from 2004 to 2011. The results show that disqualifying ballot errors are more likely in ranked-choice voting elections compared with plurality elections. In one election, there were more disqualified ballots than the margin of victory. The elderly as well as African-American voters were most at risk of having their vote disqualified by such an error. I do not pretend that my work is or should be the final word on ranked-choice voting. It is important to be careful when interpreting the results of academic research. Because my work focuses on local elections, the findings may not apply to elections for state or federal office. Additionally, as Maisel correctly notes, other research into ranked-choice voting demonstrates some of its more positive qualities. Voters are more likely to perceive less negative campaigning and to express satisfaction with candidate campaigns in ranked-choice voting elections. Maisel says, “We judge elections by who votes, not by who does not vote.” I could not disagree more. My research has shown that ranked-choice voting may have serious consequences for the equality of participation in Maine elections. Any potential benefits should be weighed against the possibility of negative consequences for equal participation and the quality of democracy in Maine. Jason McDaniel is an associate professor of political science at San Francisco State University.